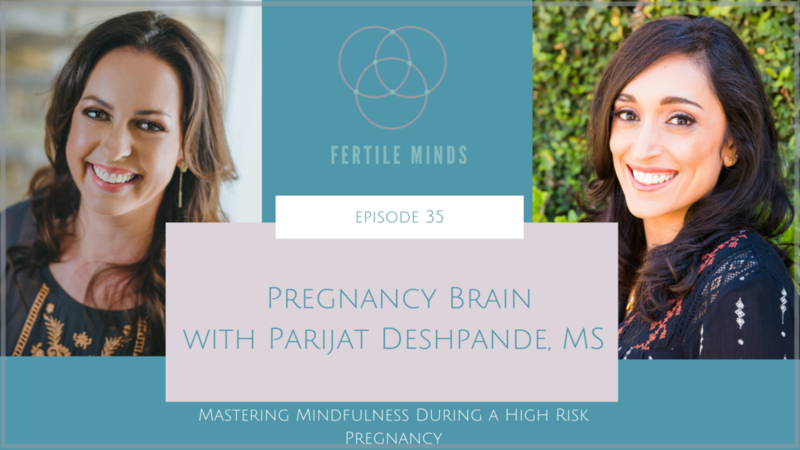 Parijat Deshpande is the leading high-risk pregnancy expert, perinatal mind-body wellness counselor, speaker, and author who guides women to quickly and effectively release their stress during their high-risk pregnancy so they can give their baby a strong start to life. Her bestselling book “Pregnancy Brain: A Mind-Body Approach to Stress Management During a High-Risk Pregnancy” and popular podcast Delivering Miracles® discuss the real, raw side of infertility and pregnancy in an interesting yet expert manner. Tune in for an episode where we discuss the physical impact of hope, how to surround yourself with a team that feels right to you, and making decisions based on clarity and confidence. [1:45] Parijat’s unique approach has served hundreds of women to manage pregnancy complications and reclaim a safety and trust in their bodies that they thought was eroded forever. Parijat is not afraid to swim in some deep waters and to talk about the tough aspects of infertility and pregnancy. [3:28] Parijat is both an expert in this field and someone that comes at it from an organic angle. She understands the feelings of fear, isolation, and frustration that are often present in infertility and high-risk pregnancy. [7:16] It’s very easy to shy away from hope when you have experienced health challenges. Hope is trust and faith in the outcome without the evidence to feel it. Our body (and baby) can feel our hope and faith, and it can also feel our fear and doubt. When we trust and know our body, and are connected with it, that is the building block and shining light of hope. [10:52] Parijat combines her Clinical Psychology background with her own experiences and stories from the thousands of other women that have all felt and gone through the same thing. [13:21] We can’t control the outcome of everything that happens in our life, but we can control our hope, the team around us, and the way we take care of and nourish our mind, body, and spirit. [16:13] When you are going through high-risk pregnancy and infertility, it’s so important to find a doctor and team that conveys information with compassion, hope, and proactive management. Your providers take you much more seriously when you are straightforward and in touch with what’s happening in your body. [21:28] Knowing the difference between anxiety and fear is crucial to how we manage stress and influence the physiological responses in our body. We isolate things in Western Medicine when they are very much intertwined between our emotions, thoughts, and manifestations within the body. [27:58] The ego part of your brain would often times rather be familiar with what we know, even if that’s anxiety and worry. Learning how to relax is like working out a muscle, and something you can practice every day. [31:11] Processing emotions rather than holding on to them while pregnant can seem daunting, but Parijat invites a gentle approach that works towards uprooting grief from the body so it can safely be let go. [32:47] Parijat is offering a 15% off discount to the Fertile Minds family for her MasterClasses on Pregnancy and Infertility. Use the code fertileminds at checkout to receive discount. [36:41] Parijat works with women to recognize their bodies’ anchor points to guide them in making decisions based on clarity, rather than fear.